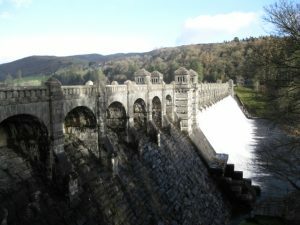 This tour includes the Borderlands (the Marches) of Wales before winding its way through the mountainous region of North Wales before reaching the Coast. We follow the coastline with its magnificent views, passing Anglesey and Cardigan Bay,before finding our way back through mid-Wales. 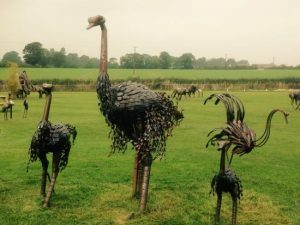 We follow Thomas Telford’s Holyhead Road to the British Ironworks & Shropshire Sculpture Park for a chance to have a look around this mo st unusual and fascinating attraction. 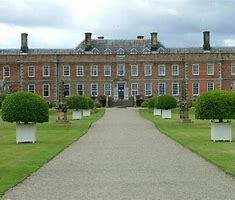 We drive along the Welsh border to reach Erddig, a stately home built in 1684–1687 for the High Sheriff of Denbighshire. We will take a tour from ‘below stairs’ to the grand rooms. We will have an opportunity to see the splendid views across the Welsh hills. We move on following the River Dee estuary before turning inland and reach our hotel at Bodelwyddan Castle . Today starts with a short visit to St. Margaret’s Church known as ‘The Marble Church’, before continuing along the coast, passing Conwy Castle and the Menai Strait, to reach the World Heritage Site of Caernarfon Castle. We we will have two hours to explore this wonderful example of King Edward I castle design. We will stop for lunch at a country riverside pub in the Beddgelert Forest before continuing to that most unusual of places, Portmeirion. This picturesque recreation of an Italian coastal village was constructed between 1925 and 1976 by Sir William Clough-Ellis. We will spend about 2 hours here before moving on to our hotel. Today we start with a journey through the mountains of the Snowdonia Park to reach Lake Vyrnwy. This impressive structure still provides much of Liverpool’s water supply. There is an extensive bird watching area where many of the rare avian visitors may be seen. Our next stop will be ‘the River in the Sky’, the Pontcysyllte aqueduct. This Victorian structure which was built by Thomas Telford soars 126 ft over the River Dee. We will take a 45 minute return trip across and see the splendid views on both sides from the narrow boat ‘Eirlys’. 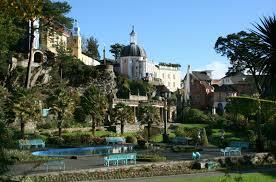 We can take lunch at a nearby hotel before making the short journey to the stunning house Plas Newydd. The story of its last occupiers will come as a revelation! 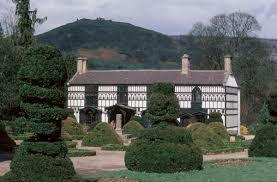 We drive through the World Heritage site of Vale of Clwyd to visit Chirk Castle. 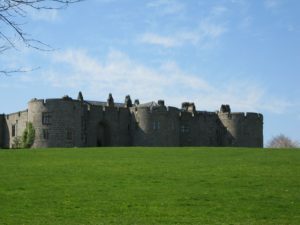 This dominating castle is one of several along the English/ Welsh border and shows King Edward I’s policy in encircling the Welsh. 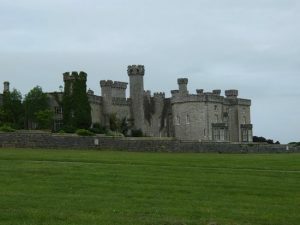 After exploring this castle, we carry on along the border passing the impressive limestone cliffs of Llanymynech, and one of the three remaining the Hoffman Kilns in the country. 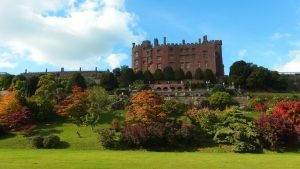 Shortly we will arrive in the large town of Welshpool where we will have lunch before moving on to Powis Castle. Unusually, this was built by a Welsh prince in the 13th century and now houses many of the treasures brought home by Robert Clive, Clive of India. The views over the terraced gardens to the hills are quite breathtaking. 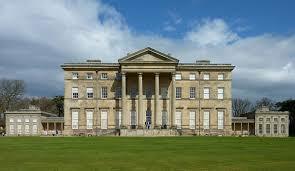 We will stop here for about 90 minutes before returning to England and visiting Attingham Park. This lovely Georgian mansion was home to the Earls of Berwick until 1953, when the title became extinct with the death of the 8th Earl.